Leaked plans have revealed that Bank Junction — where a 26-year-old cyclist was killed earlier this year — may soon be rid of all traffic, except buses. A report from London24 claims that the 'Battle for Bank' project was announced by architect and town planner Michael Welbeck at the Annual Dinner of the City’s Planning and Transportation held at the Guildhall. 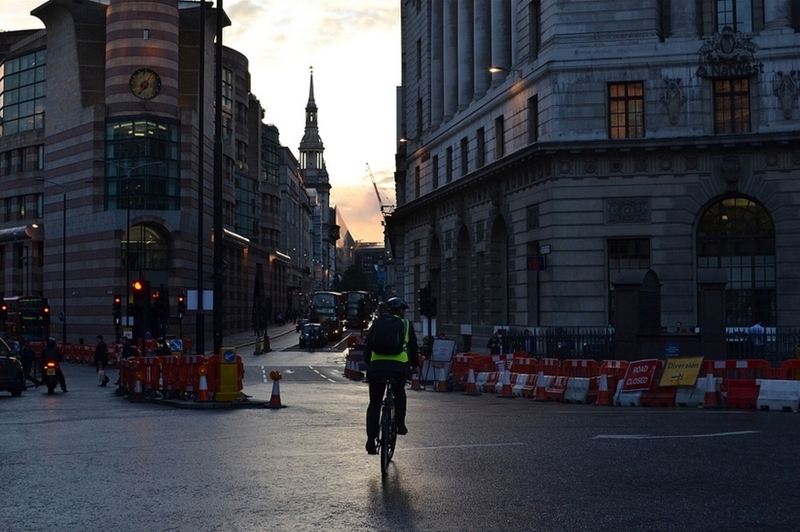 The project would involve a 12-month trial with Bank Junction functioning as a traffic-free zone, making it safer area for cyclists. In his speech, Michael Welbank, Chairman of P&TC, launched the ‘Battle for Bank’ — a plan to remove all vehicles except buses from Bank Junction and restore it to its traditional role as a major public space in the Square Mile. A joint consultation between Transport for London (TfL) and City of London Corporation will be held next month to decide whether or not the plans will go ahead.